Museum fans will find they’ll have four very different ones to explore in Salem. The Hallie Ford Museum of Art is Oregon’s third largest art museum. Bush’s Pasture Park is home to the Bush House Museum and Bush Barn Art Galleries. 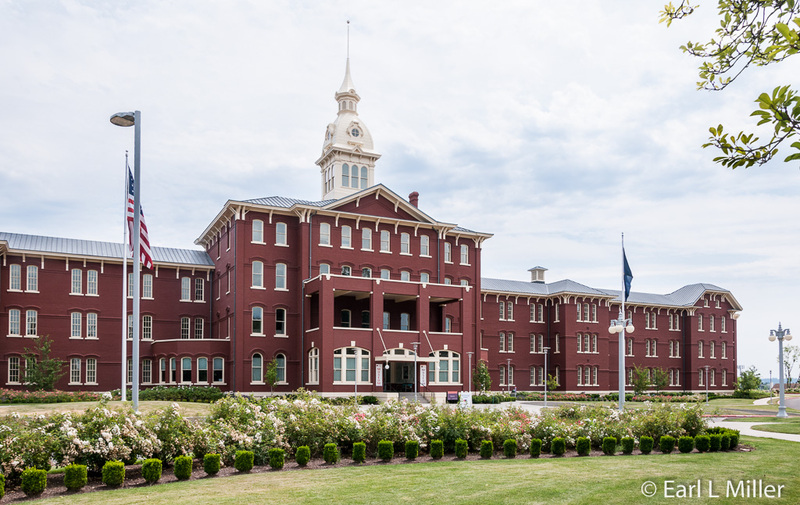 The Oregon State Hospital gives insight into the history of that mental health hospital and its patients’ way of life. The Forestry History Center focuses on Oregon’s forestry history. 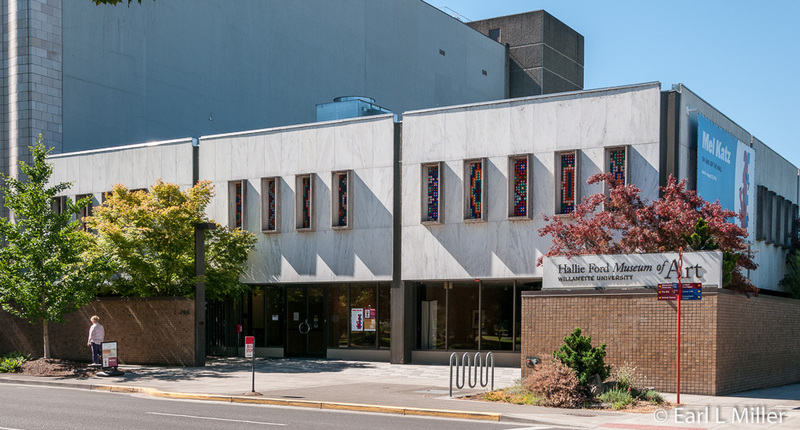 The Hallie Ford, located across the street from the Capitol, is the art museum of Willamette University. Visitors view collections of art and historical artifacts in 27,000 square feet making it the perfect size to see all its collections. It houses six galleries, three of which feature eight changing exhibitions each year. The various collections all together total over 7,000 artworks that are rotated throughout all their permanent galleries. That means some of the artwork I saw will be replaced by others when you come to visit the museum. For a current view of exhibitions, visit their web site. 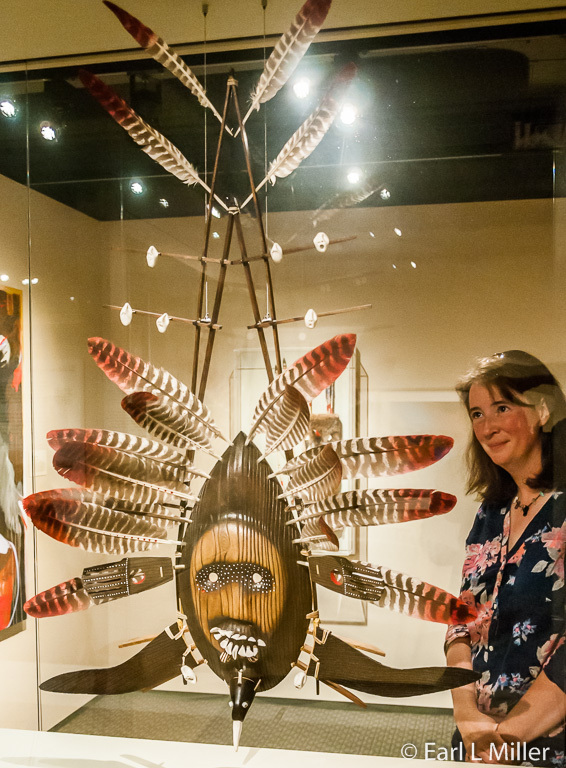 Take the elevator to the second floor to find Confederated Tribes of the Grand Ronde Gallery, a strong collection of traditional and fine art by Native American artists. This gallery focuses primarily on Pacific Northwest tribes with an emphasis on those from Oregon. 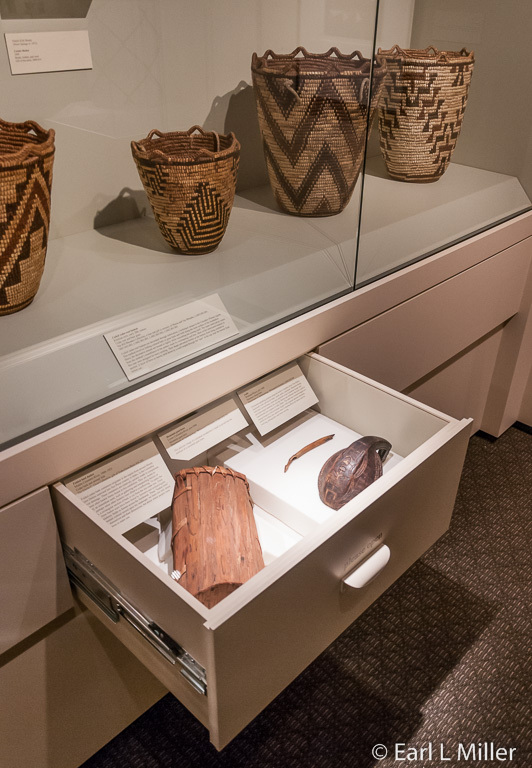 It contains primarily baskets but also includes miniatures and ceremonial regalia. 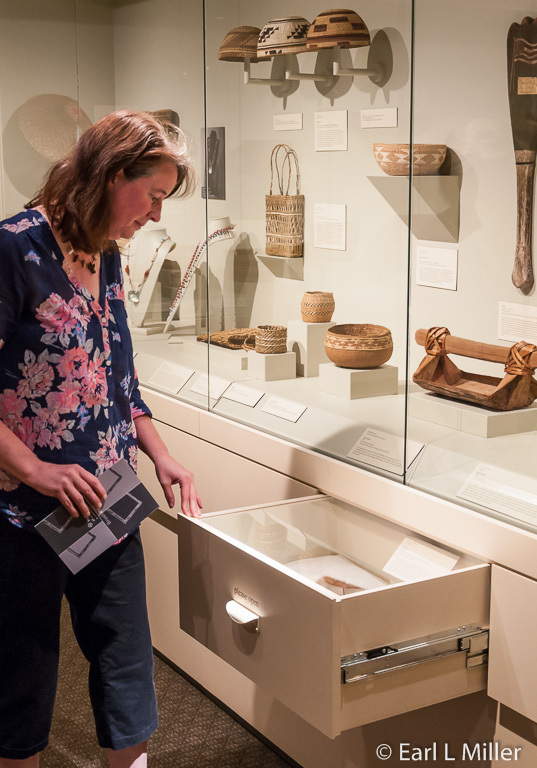 In this room, visitors are invited to open cabinet drawers to see artifacts representing lots of Pacific Northwest tribes. It also contains paintings, sculptures, and prints by contemporary Native American artists. One contemporary sculpture which drew my immediate attention was that of blankets piled into a high pole by Marie Watt. Most of the blankets were donated and accompanied by stories, but Marie had some that she had collected and added in as well. The mask by Phillip John Charette “Seabird Yua” is another worth noting. It tells the story of how a grandfather was saved by a seabird when his boat was lost in a fog. It’s a mixed media work of feathers, wood, and ceramic. You can view it from the front and the back. One of the best things about the museum is that you can view many of the artifacts this way. 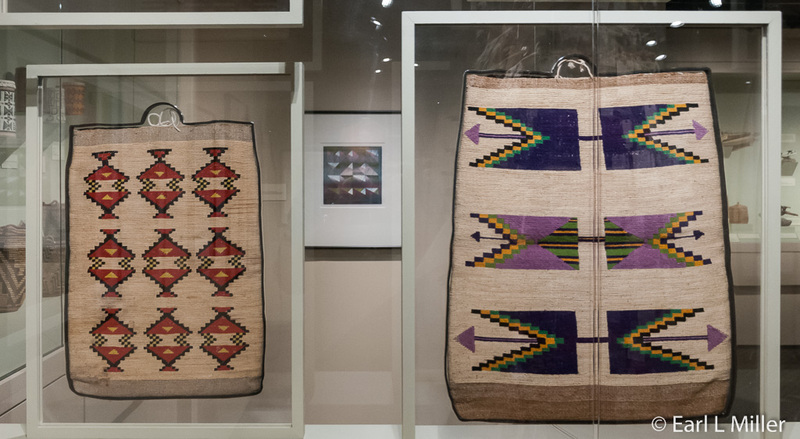 I also noted the flat, twined beaded bags from the Columbia River Plateau region. These are all from about 1900. There was one beaded example. They were originally used as containers for dried roots and other foods, clothing, and personal objects. The museum’s Mark and Janeth Sponenburgh Gallery contains the Asian, American, European, and antiquities collections. Antiquities includes more than 100 objects, including Egyptian funerary objects, statuettes of Egyptian gods, Etruscan-Corithian pottery, Greek black figure pottery, and Roman glass. 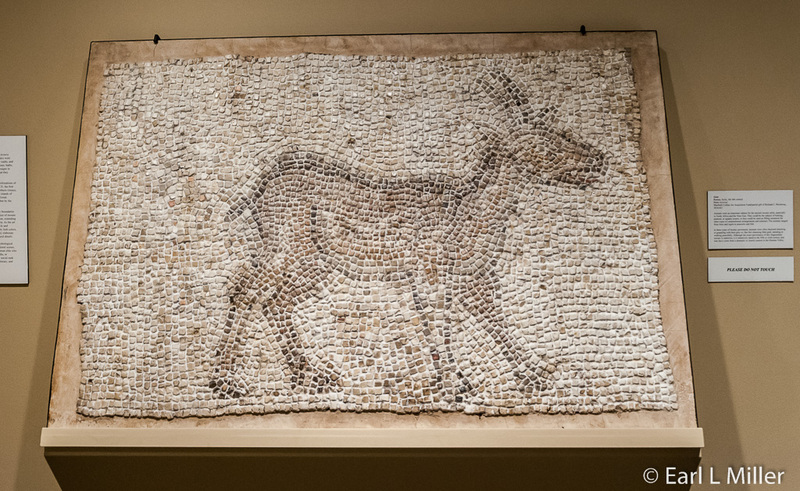 We noted the goat from the 5th or 6th century BCE which was once part of a floor. It’s made of stone tesserae. To make it convenient, they have a magnifying glass with which to view the coins. “The Relief of a Servant,” Old Kingdom, Dynasty 6, 2350-2170 BCE, is one of their oldest pieces. It’s composed of limestone with traces of paint. This gallery also contains their European collection. It contains a group of nineteenth-century landscapes by artists associated with the French Barbizon School, examples of Christian icons paintings from Eastern Europe, and prints by such artists as William Hogarth and Francisco Goya. 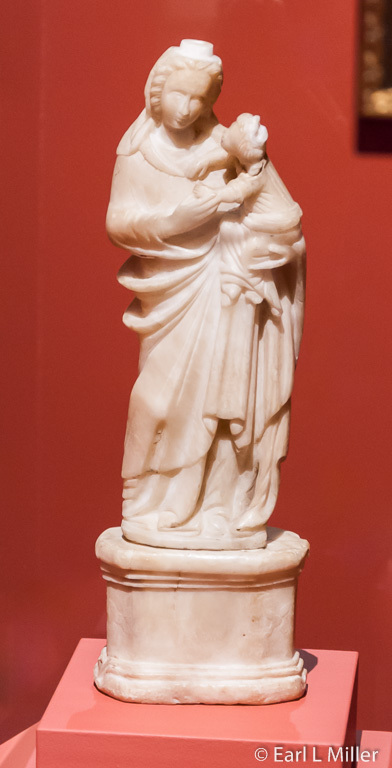 They also have a Renaissance sculpture “Virgin and Child” from the French-Italian School. The museum has approximately 50 works of Asian art on view. This collection includes Chinese export ware porcelains, Japanese netsuke (sculpture), Chinese snuff bottles, and Japanese paintings and prints. It has textiles and wood carvings from the Swat Valley along the border of Pakistan and Afghanistan. Other works are Chinese and Japanese hanging scroll paintings, Chinese and Korean ceramics and bronzes, and Japanese woodblock prints. The American Art, when I saw it, had a whole wall by printmaker Jacob Lawrence, who depicted African-American moments throughout history. That has since been moved back into storage and replaced by a number of artworks on special loans. It also includes the work of early, twentieth-century photographer Edward Steichen, including a rare landscape painting “Across the Valley of the Morin.” Nineteenth century portraits, prints, and sculpture are here as well. In the Carl Hall Gallery, on the first floor, you’ll find art by American Northwest artists with an emphasis on the Pacific Northwest. 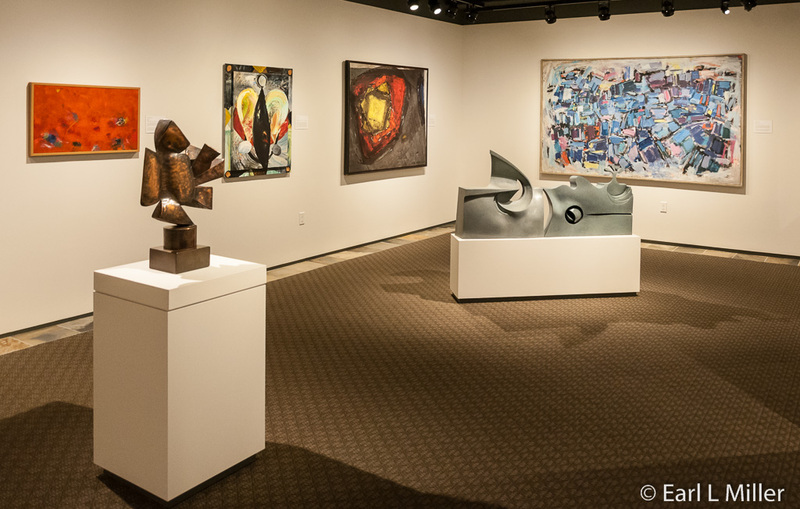 Most are modern and contemporary paintings, but you’ll also find such media as sculpture, fabric, and photography. I liked the sculpture by Tom Foolery titled “Blue Chip.” It reminded me of a miniature Michael Garman that I saw in Colorado Springs. Marie Dingus’s painting “Spirit in Orange Skirt” also drew our attention. 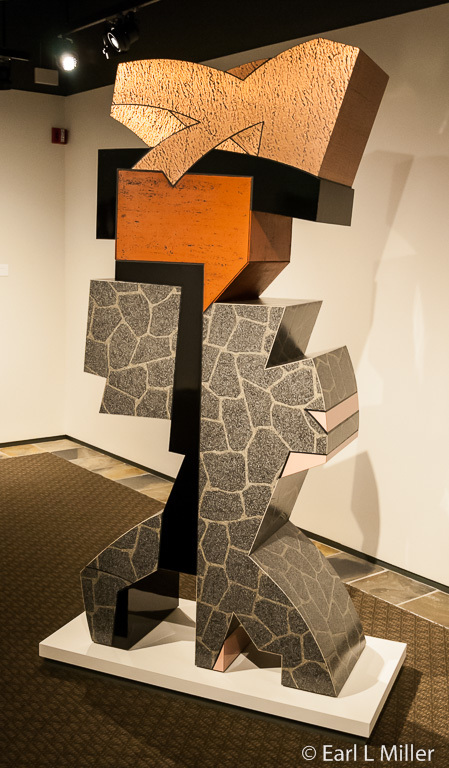 When we visited, two temporary exhibition galleries were devoted to the sculptures of Mel Katz. His work consists of very large geometric designs. He does his designs in charcoal on paper then works with fabricators to make sculptures of his ideas. His "Flagstone" is vinyl and plastic laminate on plywood. Hallie Ford Museum of Art is located at 700 State Street. Their telephone number is (503) 370-6855. Admission is $6 for adults, $4 for seniors ages 55+, and $3 for college students with a school ID. On Tuesdays, it’s free for everyone. Hours are Tuesday through Saturday 10:00 a.m. to 5:00 p.m., Sunday 1:00-5:00 p.m. In 1860, Asahel Bush II, editor and publisher of The Oregon Statesman newspaper, purchased 100 acres of farmland on the southern edge of Salem with his wife, Eugenia. The simple frame house was home to the couple and their four children. Following Eugenia’s death in 1863, Bush sold the newspaper. In 1869, he established the Ladd and Bush Bank, in downtown Salem, with William Ladd of Portland. Bush was very active in Democrat Party politics. He was a member of the Democratic state central committee for several years including being chairman at one time. In 1892, he was a delegate to the Democratic National Convention in Chicago. He was the only man to serve as territorial printer for Oregon which he did for eight years. A regent of Oregon State University for many years, Bush also served as a trustee of Willamette University. In 1902, he was on the board of directors of the Lewis and Clark Centennial exposition held in Portland in 1905. He backed many commercial enterprises in Salem. Interests included the Salem Flour Mills, the Salem Woolen Mills, and the Salem Foundry. He was also a stockholder in the Oregon Railroad and Navigation Company. His estate, worth two million dollars at his death in 1913, was the largest estate settled in Oregon up to that year. In today’s dollars, it would be worth 44 million dollars. Construction on a two-story Italianate style home was completed in 1878. It was designed by the firm of Boothby and Stapleton, who also designed the Marion County courthouse and Oregon State Hospital. This home is the park’s centerpiece. The Bush family operated the property as a farm complete with vegetable garden, orchard, livestock, and pasture. The home has the typical exterior features of that style of architecture. For example, visitors can see a flat or hipped roof with deep eaves, bay windows, narrow tall windows, inset wooden panels, and a wide cornice with decorative brackets. The exterior has cedar clapboard siding that was originally painted a “light mouse color.” It contains, including the servant’s quarters, bathrooms, and pantries, about 19 rooms and is 10,959 square feet on three levels. A 45-minute guided tour of the Bush House Museum features much of the family’s original furnishings and period artwork. In fact, about 60 percent are items that belonged to the Bush family. Their home was technologically advanced and still contains the original light fixtures, central heating vents, and plumbing fixtures. A pulley system in the library transported wood from the basement to the living areas. The kitchen’s boiler, along with the roof-mounted water tank, provided hot and cold running water to washbasins in each bedroom. 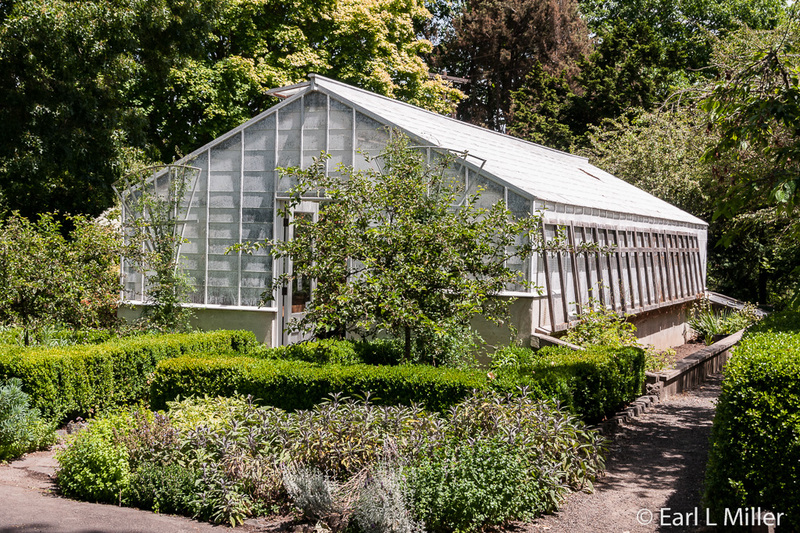 A member of the Bush family owned it until 1953 when it was purchased by the city of Salem. 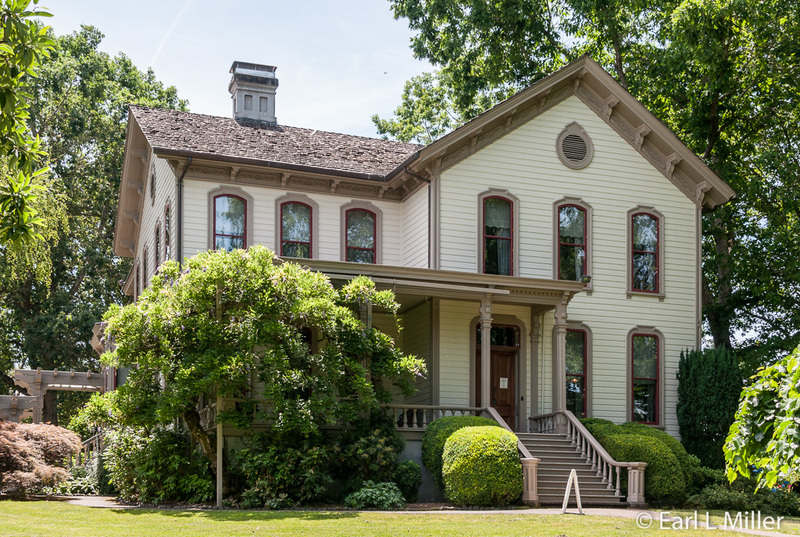 Today the Bush House Museum is a program of the Salem Art Association. Throughout the year, the Museum offers guided tours, educational programs, and special events. While in the park, take time to visit the Bush Barn Art Center located in the original Bush Family Barn. It consists of three galleries of art on two floors, primarily by Pacific Northwest artists. Its exhibits change every six to eight weeks. All work is available for sale. When we were there, we saw prints, paintings, photography, and modern wood carvings. The gift gallery features handcrafted jewelry, glassware, fiber art, ceramics, metalwork, and sculpture. The Center does not allow any interior photos. You’ll also want to peek into the restored 1882 Conservancy. It’s the second oldest in the west. 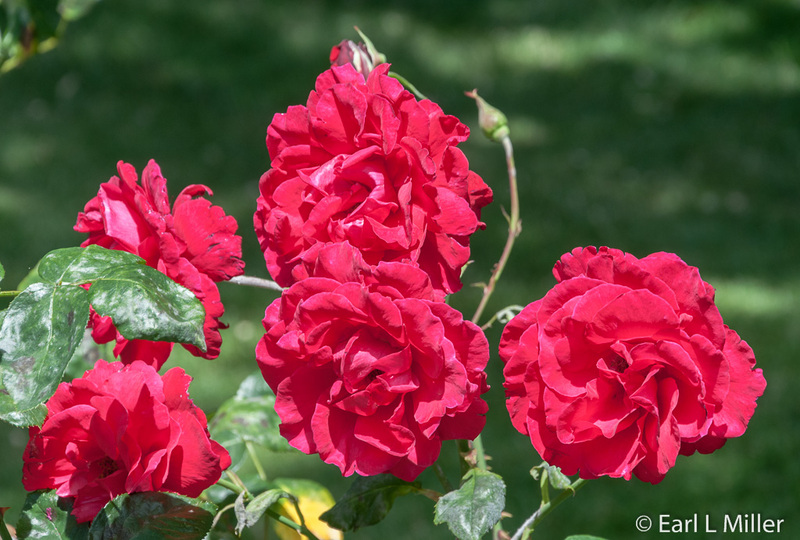 The 90-acre park has walking trails, a civic rose garden, and several children’s play areas. The Bush House Museum’s address is 600 Mission Street SE. Guided tours take place Wednesday through Sunday at 1:00 p.m., 2:00 p.m., 3:00 p.m., and 4:00 p.m. Admission is Adults $6, Seniors (62+) $5 students (16+) $4, and $3 for youth (6-15), free for under age six. AAA membership provides a $1 discount. 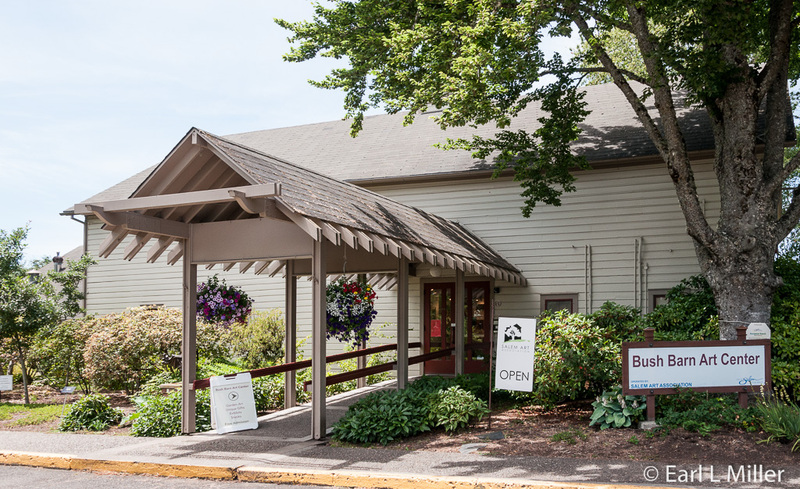 To schedule tours, call 503-363-4714. Admission to the Bush Barn Art Center is free. Its hours are Tuesday through Thursday 10:00 a.m. to 5:00 p.m. and Saturdays and Sundays noon to 5:00 p.m. Its phone number is (503) 581-2228. 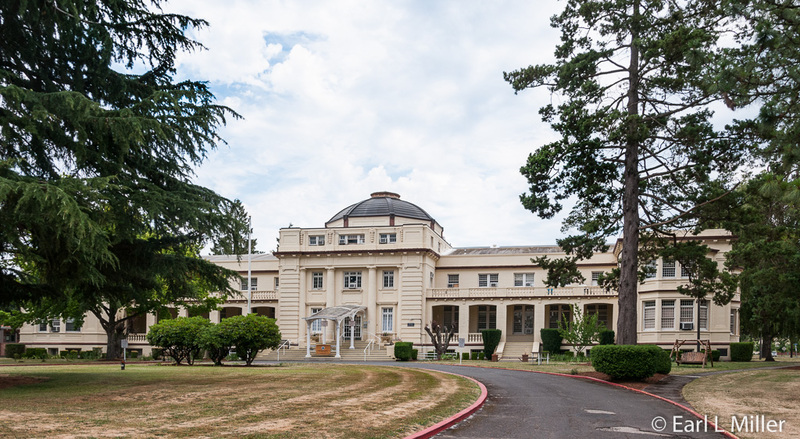 Established in 1883, Oregon State Hospital is the primary psychiatric hospital in the state. Their Dome Building was the setting for the Academy Award-winning film based on Ken Kensey’s novel One Flew Over the Cuckoo Nest. In 2005, an architectural assessment of the structure found the site unsafe. Much of the dilapidated 125-year-old structure was torn down and replaced. A new hospital opened at the site in 2012 with a capacity of 620 beds. A museum opened at the same time. Half of the museum is devoted to the hospital’s history while the other half talks about the patients’ way of life. In the history area, you learn about methods of treatment and see wallboards as to causes of admission and the occupations hospitalized. Major causes were feeble mindedness and dementia. Sawmill workers were the highest number hospitalized followed by sales people and students. Children as young as six were admitted though Oregon law, changed in 2005, no longer allows the admission of adolescents. Almost every doctor trained in Oregon did a psychiatric rotation through the hospital, which for decades had its own nursing school. The hospital was also a training facility for ministers who wished to minister to the mentally ill.
One section is about Work and Play at the hospital. Patients participated in sports such as tennis, baseball, and bowling. They had dances, weekly movies, band concerts, and Sunday religious services. In the early days, they worked on the hospital’s two large farms. These not only fed the patients but those at other institutions such as universities and prisons. 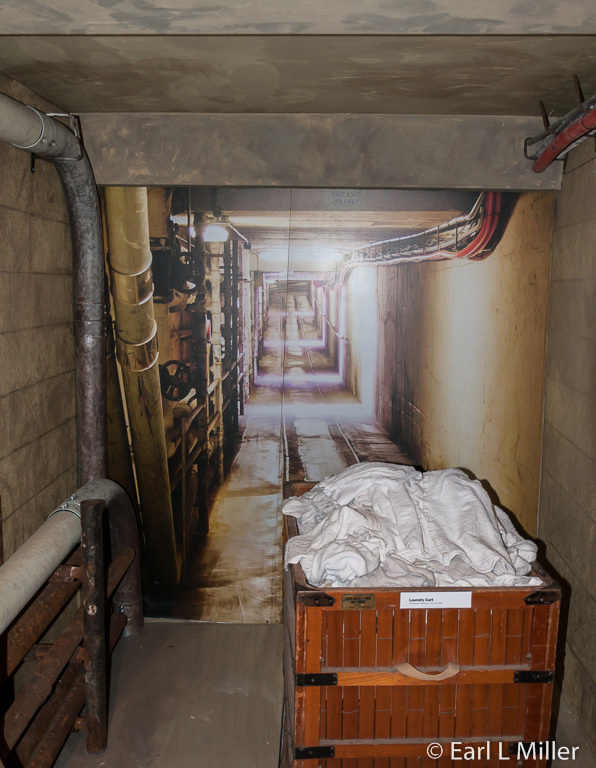 You’ll learn that the Oregon State Hospital buildings are connected by 1.87 miles of tunnels. These were used mainly for the transport of food and laundry but sometimes for patients. At times of severe overcrowding, they were also used to house the patients. 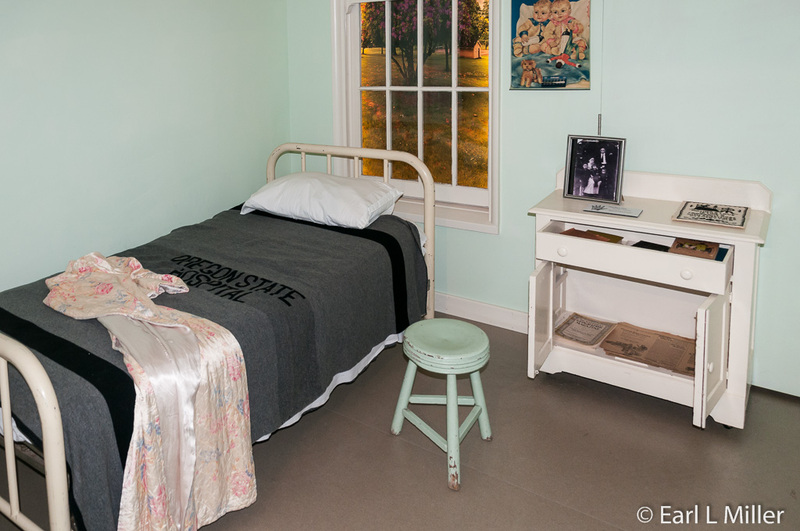 Next to the tunnel exhibit is a replica of an early ward room. An exhibit worth checking out is in the back room. It’s on One Flew Over the Cuckoo Nest. You can see the hydrotherapy machine, the day room television, and the “Big Indian’s” broom. It was an opportunity for community members and film makers to interact with patients. Approximately 90 patients were used in this 1975 film. It took three months to film and premiered at Salem’s Elsinore Theater. The Oregon State Hospital Museum of Mental Health is located in the Historic Kirkbride Building of the Oregon State Hospital. It along with all the other old buildings on the campus are on the National Register of Historic Places as of 2008. It’s open Tuesdays, Fridays, and Saturdays from noon to 4:00 p.m. General admission is $4, seniors $3, and youth ages 6-18 $2. Those under age six, accompanied by parents, may come for free. The address is 2600 Center Street NE and the telephone number is (971) 599-1674. 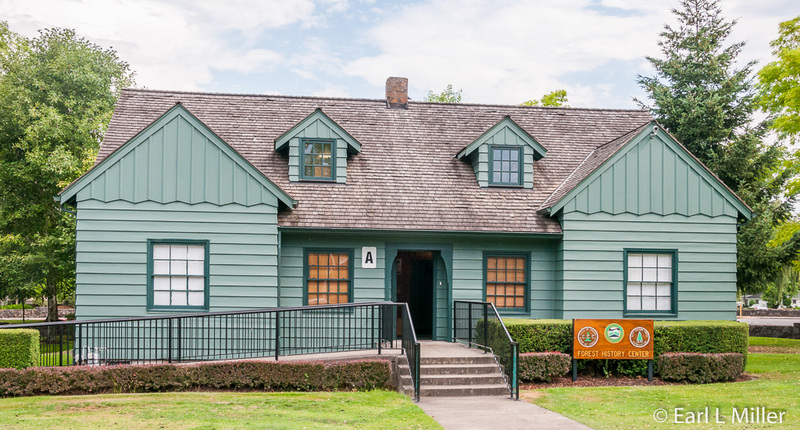 Originally constructed in 1936, the Forest History Center building was headquarters for the Civilian Conservation Corps (CCC) Oregon operations. When the CCC was disbanded in 1942, the building was turned over to the Oregon Department of Forestry. From 1945 to 2001, the building housed Keep Oregon Green Association and various other Department of Forestry programs. Plans to develop the Oregon Forest History Center began in 2000. In 2001, the structure moved from the east side of Mill Creek to its current location on the west side of Mill Creek. At that time, the Center began to take shape and had its formal opening in 2008. Before entering the building, you’ll notice the CCC worker statue. It was the 16th such statue to be installed in the United States. 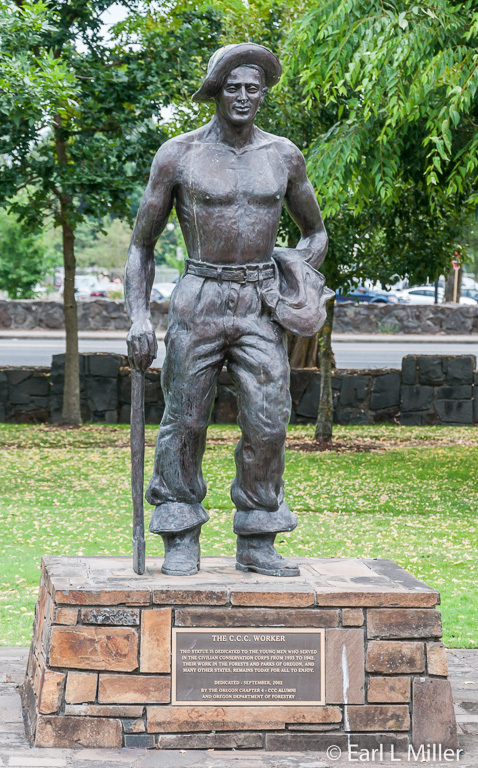 This one was dedicated to these workers because of the significant contributions they made in Oregon from 1933 to 1942 working on forest fire fighting crews and forest reclamation projects. During its nine-year history, the CCC averaged 60 camps and 8,000 members a year in Oregon. Exhibits in two rooms and a hall cover all aspects of Oregon’s forestry profession. These range from early logging by oxen and early lookout structures to the latest use of computers and satellite imagery. These exhibits are continually revised and enhanced. In the first room, we saw exhibits on how tools are used, how lumber was used in World War II, and about log truck operations. The second room was more on fire fighting. It covered the first two of the four Tillamook Burns, including a massive one which took place in August of 1933. We learned about Oregon’s various types of lookout towers. Part of the Keep Oregon Green Exhibit is about Smokey Bear. It relates that he was a bear cub in New Mexico found clinging to a tree after a fire. He was cared for then went to Washington, D.C. and became Smokey Bear. This occurred in the 1940's. The third room is devoted to the CCC. It contains photos of various companies and CCC activities. The Center is currently working on discovering where all the camps were as no national listing exists of their locations. A lot of CCC workers came from the South and the East Coast. Along with the camps, the Center is compiling a list of all personnel that served in the CCC’s in Oregon including the military and civilian personnel who administered the camps and the projects. The list currently has more than 15,000 names. The fourth room contains early technical equipment. Besides 1940's and 50's radios, you see photos of mounted and portable radio repeaters, cameras, surveying, and weather forecasting equipment. In the hall, the museum has the history and photos of large forest fires that have occurred in Oregon. Forest History Center is located at 2600 State Street. During summer hours (May, June, July, August, and September), the center is open on Fridays and Saturdays from 10:00 a.m. to 3:00 p.m. and at other times by appointment. During the rest of the year, the center is open on Fridays from 10:00 a.m. to 3:00 p.m. and at other times by appointment. Their telephone number is (503) 945-7208. Admission is free.